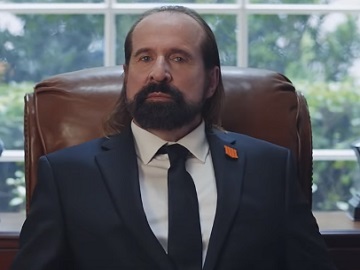 Call of Duty promotes the Call of Duty: Black Ops 4 in a new commercial, featuring Peter Stormare as The Replacer. The spot features The Replacer, a guy who randomly replaces people so that they can go play Call of Duty, as the president, a driver of an armored truck transporting money, who spills $500K, the host of an award show, who doesn’t get the job, actually, as the show gives up search for replacement host (a reference to this year’s Annual Academy Awards Show, which will have no host), a farmhand, an EU translator who makes fun of the British accent. “But don’t you worry, I know what I’m doing,” The Replacer says, while various headlines of breaking news shown throughout the trailer prove the opposite. The content of the latest Black Ops 4 Operation, Grand Heist, introduces two exciting and original new Multiplayer maps, “Casino” and “Lockup”. In “Casino,” players get to experience the chaos of an exotic sportscar robbery gone wrong, while in “Lockup,” they get mixed up in a raid to destroy evidence. Black Ops Pass owners also get to drop into Blackout with an exclusive character, Cosmic Silverback. Black Ops Pass owners also receive Shadowman and Reaper – exclusive Blackout characters, Classified and Dead of the Night – two chilling Zombies Experiences, 1,000 Call of Duty Points, 300 Nebulium Plasma, 8 upcoming Multiplayer maps, 1 upcoming Blackout characters, and 3 upcoming Zombies experiences.